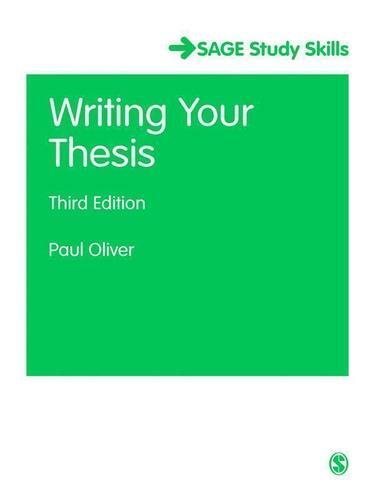 Based on his extensive experience as a successful thesis supervisor, Paul Oliver shows you how to turn your notes and data into a finished Masters or PhD thesis or dissertation. Fully up-to-date with current HEFCE/other EU requirements, the book sets out a template for you to follow, including planning and preparation, theoretical perspectives, publishing preliminary findings, and preparing for the viva. Information on online and digital work, so you are up to date with the latest developments in thesis writing.